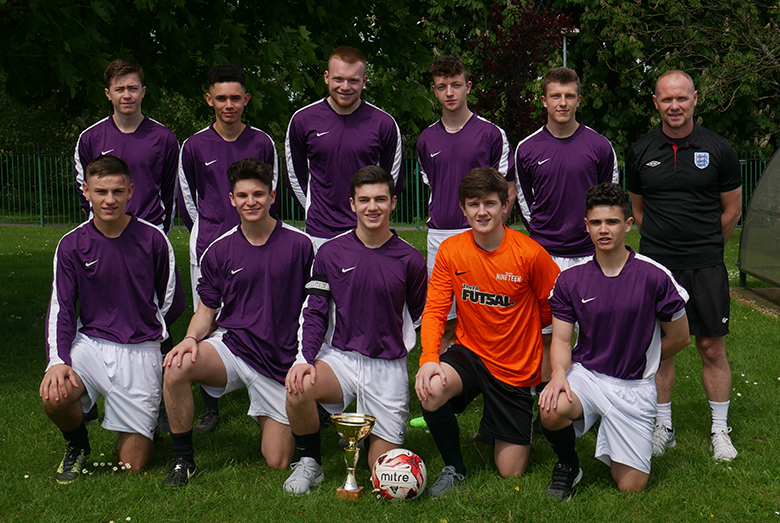 The Sixth Form College, Solihull 1st Football Team are this season’s winners of the ECFA West Midlands U-19 League. The team lost only one match out of 14 league games this season to clinch the title. During this run of games they recorded the highest victory in College history, when they beat Warwickshire College 18-0. Top goal scorer this season was James Apperley with 20 goals. This piece of silverware is the third league title in four years, keeping an impressive run of success for the football team going.